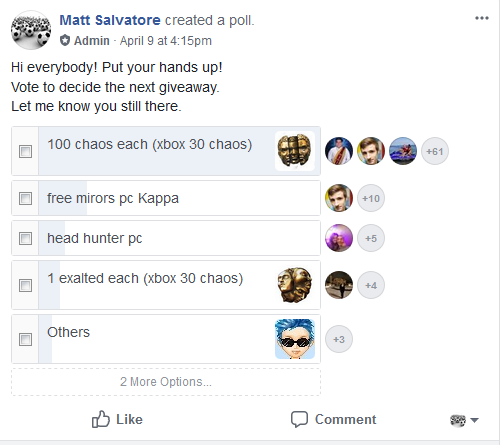 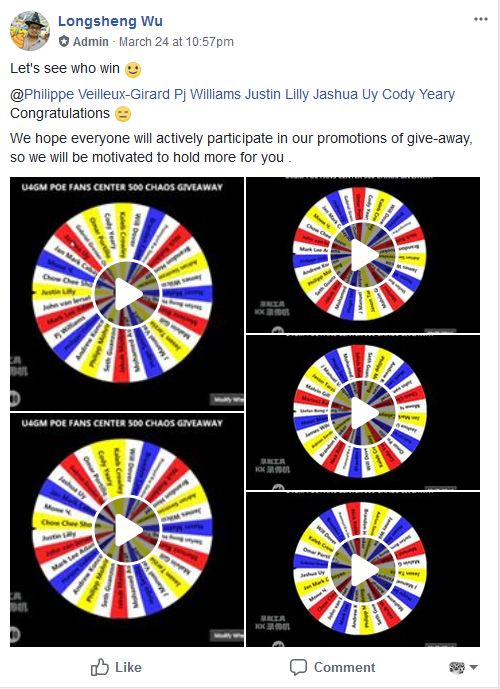 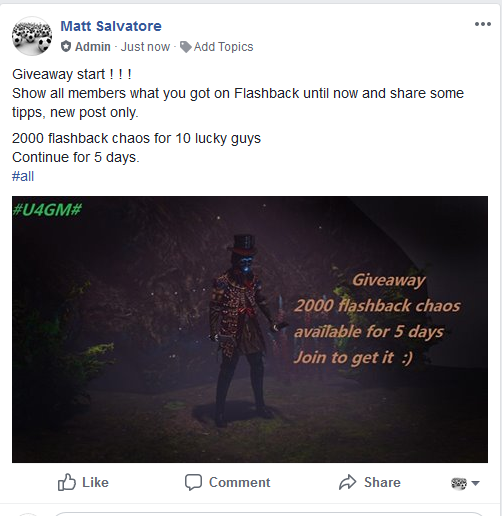 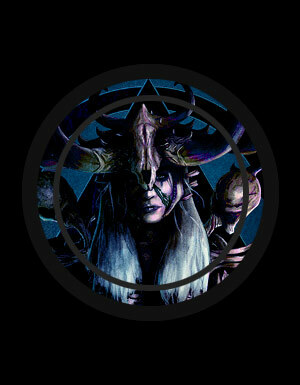 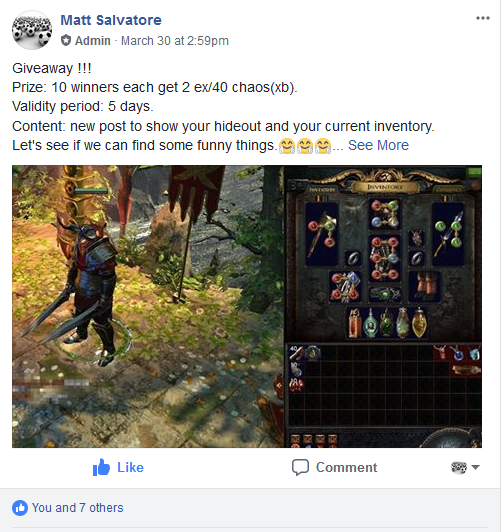 From Abyss to Bestiary, we have done many giveaways, usually once a week, and we will keep doing this for our loyal customers. 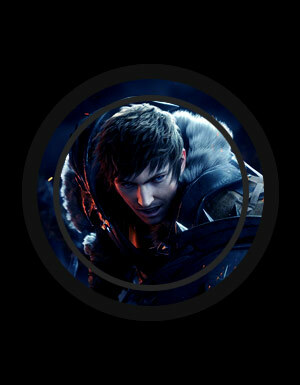 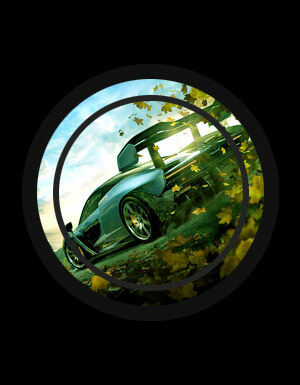 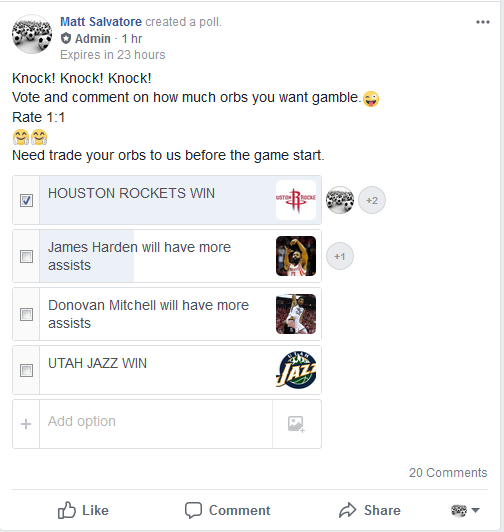 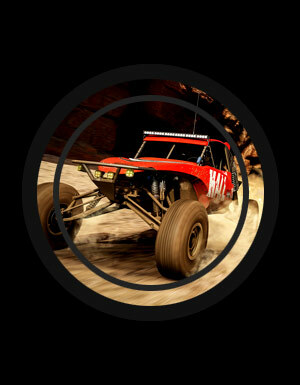 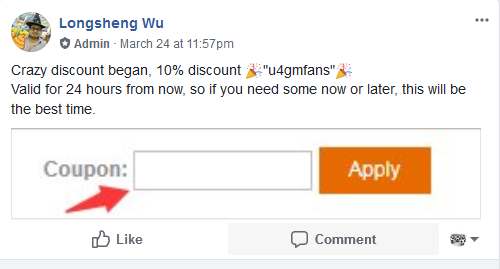 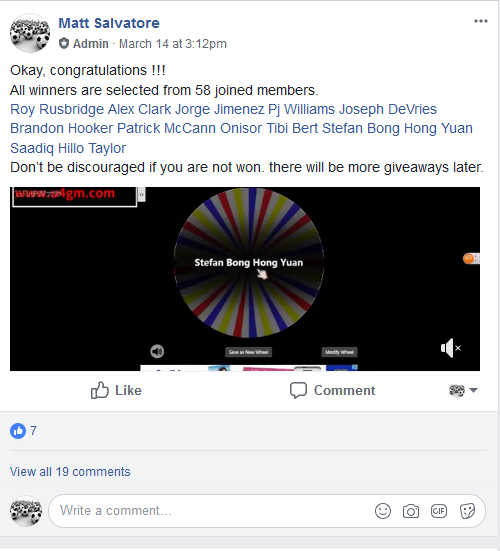 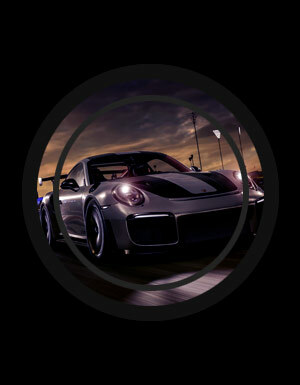 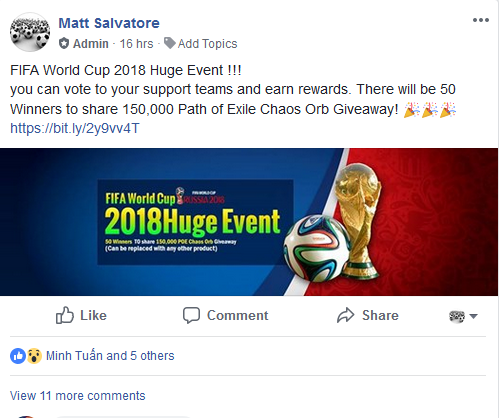 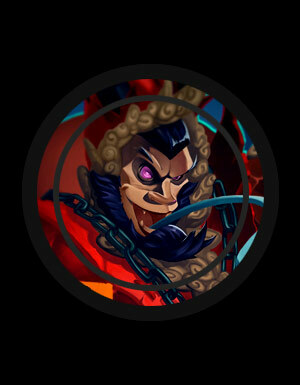 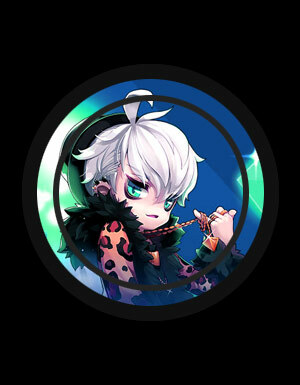 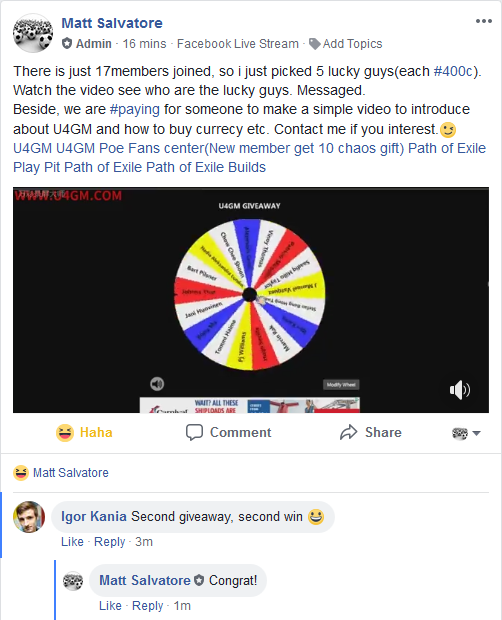 Also, its best place to share gameplay with other players, and we will post crazy discount sometimes, so if you have missed this before, don't miss again. 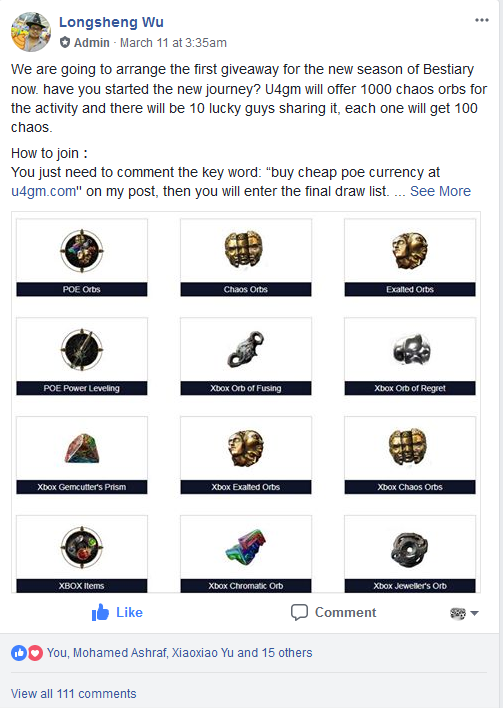 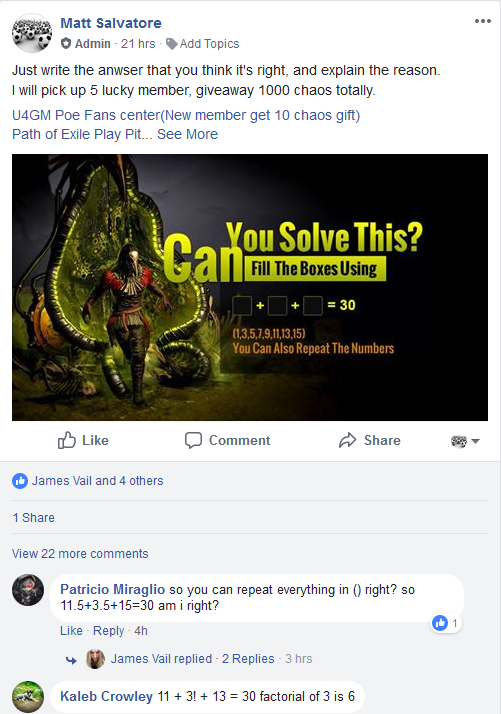 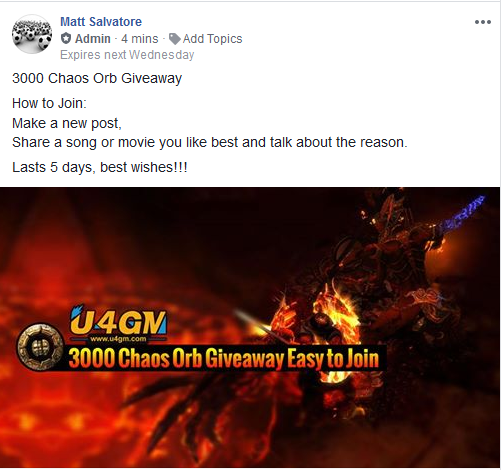 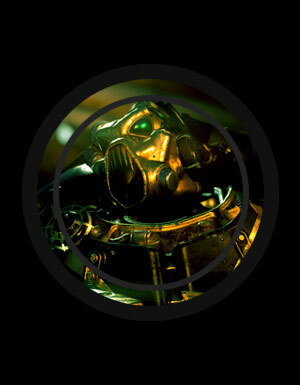 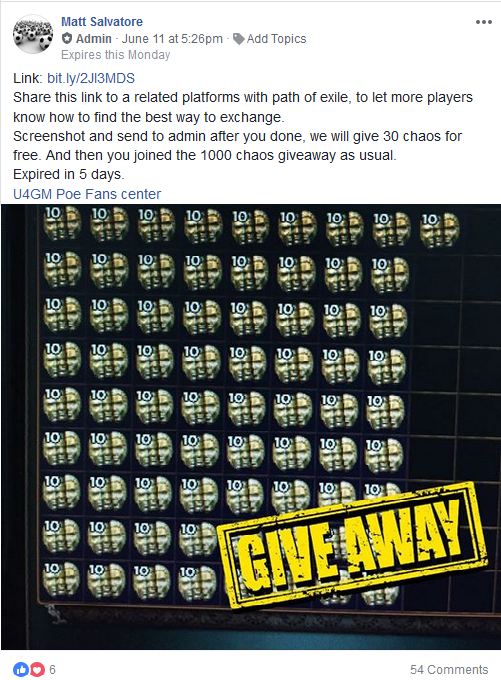 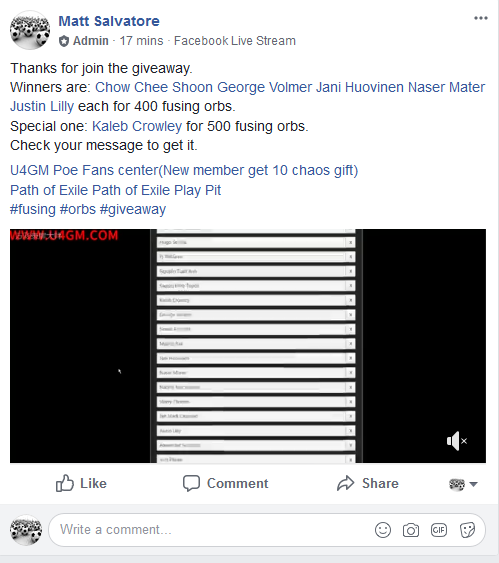 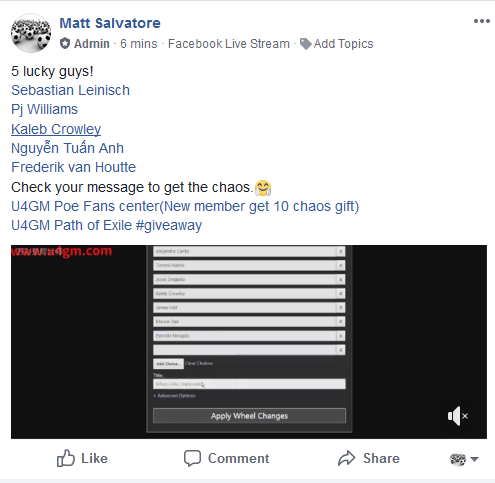 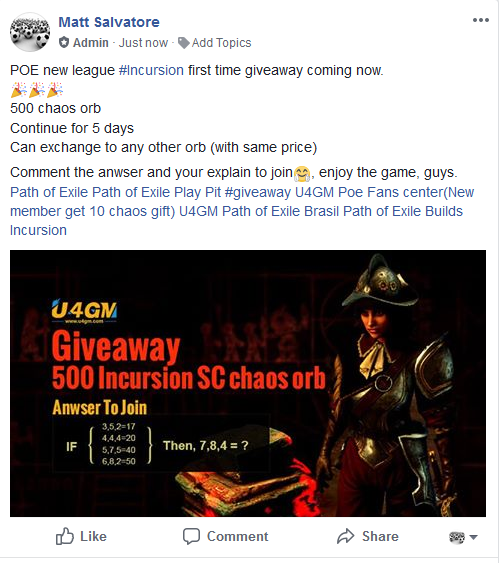 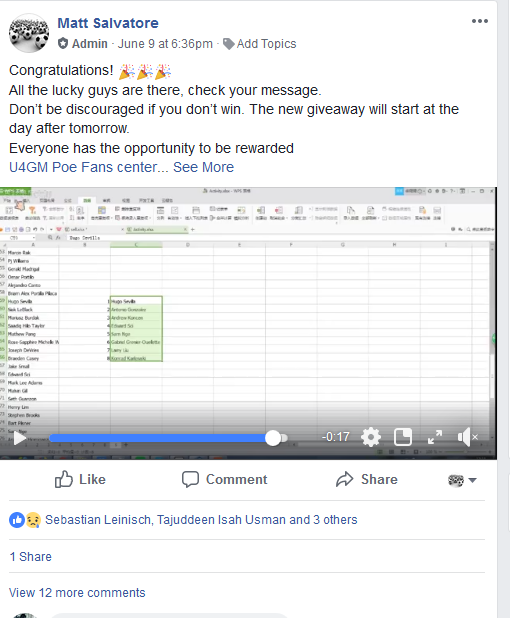 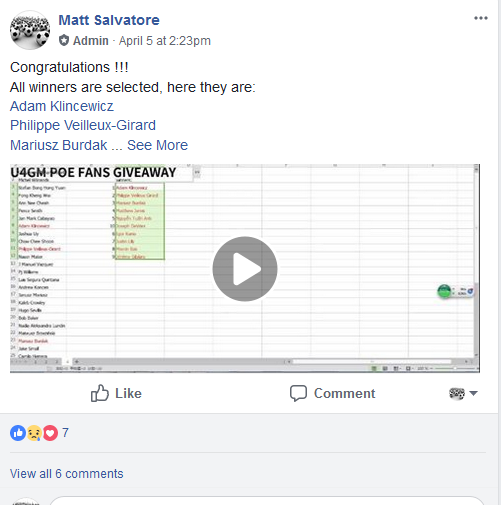 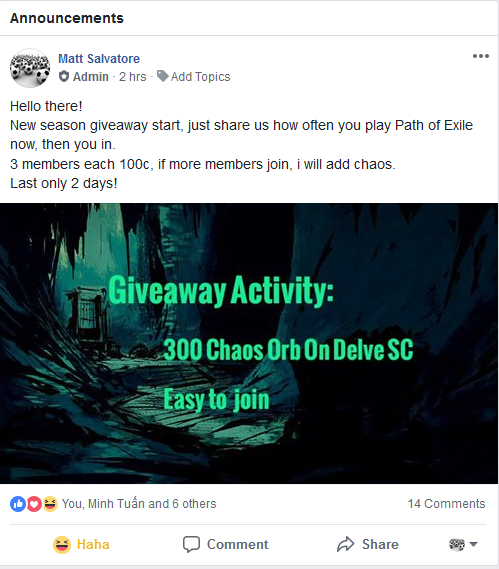 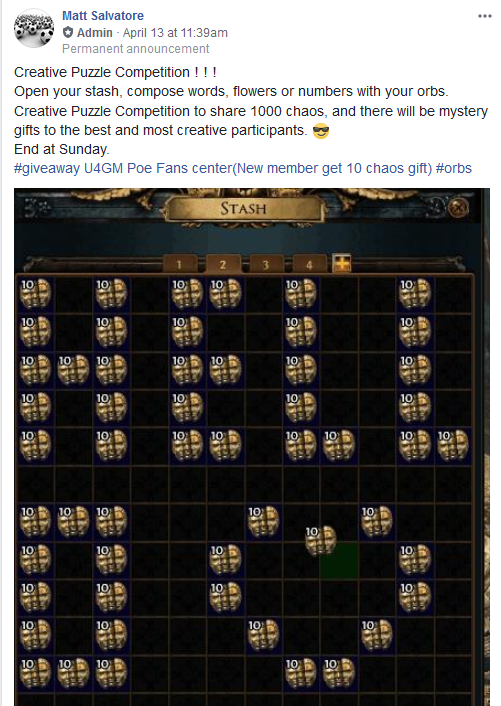 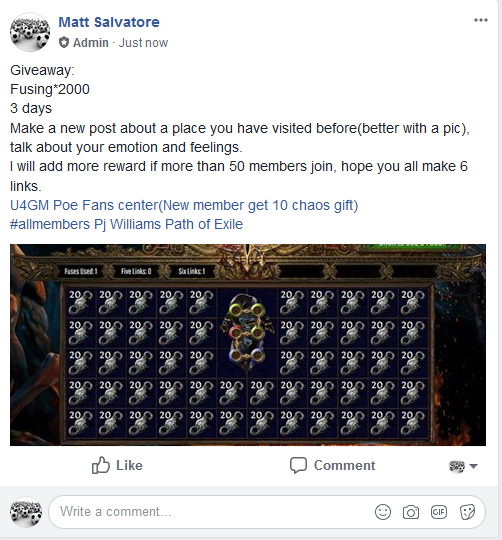 Search in facebook "U4GM Poe Fans center" first time join to get 10 chaos for free(Xbox get 3 chaos).